Once again in 2004, Tiësto has left his mark on the history of dance music when he returned with a new series of Tiësto In Concert. This time he has outdone himself by doing 2 shows in Arnhem, Holland (October 29th and 30th) and a show in Hasselt, Belgium (November 6th), sharing his music and vision with over 70.000 fans. 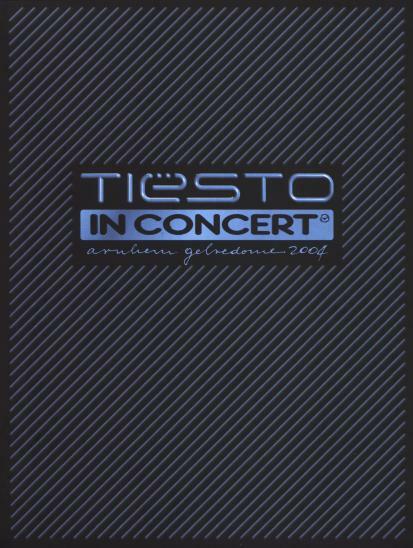 This 3-hour registration shows you Tiësto In Concert 2004 in a way a dance-event never before has been captured, showing you the event from all corners of the stadium, and let's you relive as if you're a part of the audience. Many extra features let you explore Tiësto In Concert and beyond even more. It's simply Magik!